Over the last few decades, there has been a tremendous growth in the overall popularity of yoga. More and more people, from all across the world, are showing a keen interest in learning this art for the sheer reason of well-being. Not only research has proved the benefits of yoga, but even professionals adopt as well as recommend this practice to everyone, from young to adult in order to stay fit and healthy. Let us first know what is yoga? What exactly do we understand by yoga? According to some people, yoga is meditation while for others it is just a set of different poses that should be performed to keep the body stay fit! Well, to state the truth, yoga is basically a combination of practicing different postures, meditation and deep breathing which connects the body, mind, and soul (spirit). 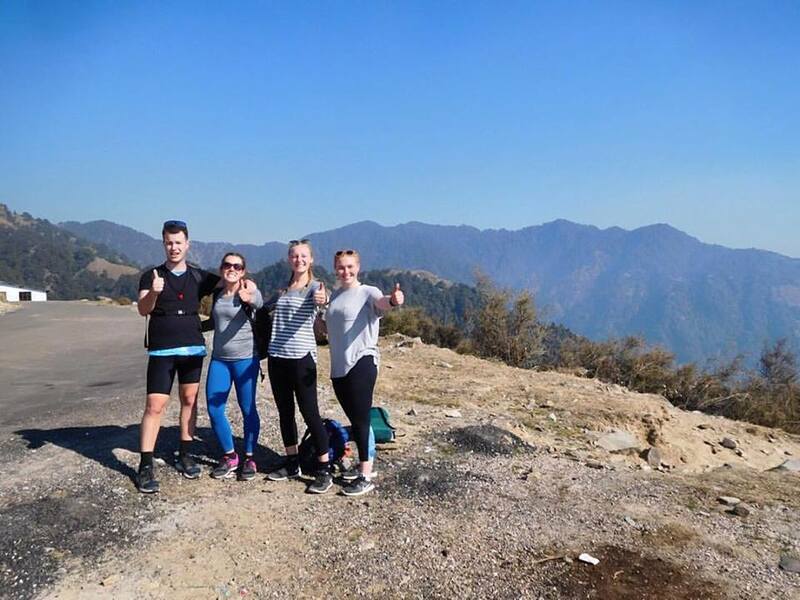 To experience the goodness of Yoga along with some added adventure, Volunteering India has curated an incredible and affordable Yoga and Volunteer Adventure Program in Palampur, Himachal Pradesh. In case you are wondering why you should be a part of this program, we can make an effort. Here are few reasons to convince you to be a part of it. 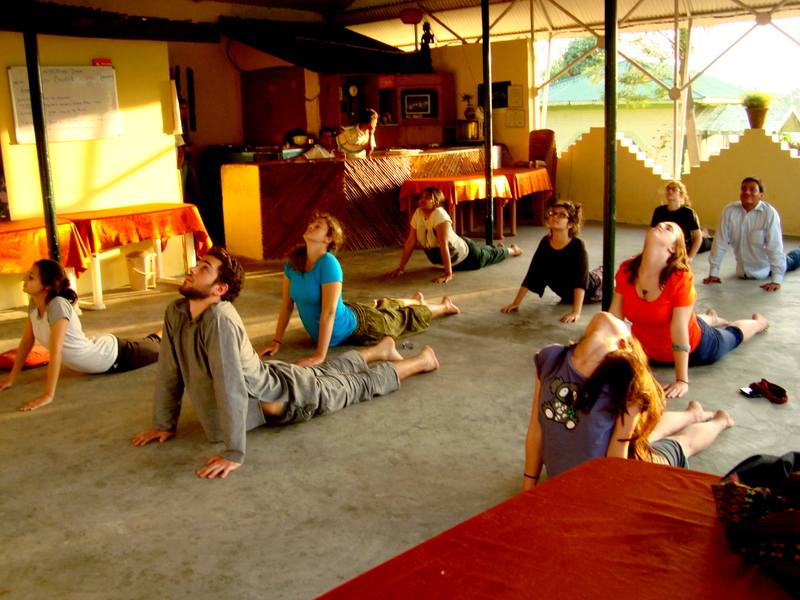 Being a part of this program, every evening you’ll be attending an hour’s Yoga and Meditation sessions in the beautiful town of Palampur, which will help you to refresh your mind. With the Himalayas in the backdrop, this would absolutely rejuvenate you. Yoga has endless benefits which positively affects our mind and soul. It is all about a healthy lifestyle. It is a process that brings us to a state where we can see and experience the reality. To put it simply, yoga is not just about exercises, but to discover the sense of oneness with yourself, the world and nature. These sessions will help you in relieving your stress and help you to become more focused. While being a part of a volunteering project, you will be accompanied by numerous other volunteers from different parts of the world. It’ll be a chance for you to make friends out of strangers. It will give you an opportunity to expand your social network! As a team, travel together, share a significant amount of time with each other and make memories to last for a lifetime. Apart from Yoga and Meditation, volunteers can have various other adventure activities where you can choose an adventurous trek from Bir, a small hill town or can also have an optional paragliding activity. Walk through the mountain trails and feel and enjoy the cool gust of wind, summer lights and of course, feel the breeze that will bring freshness to you. 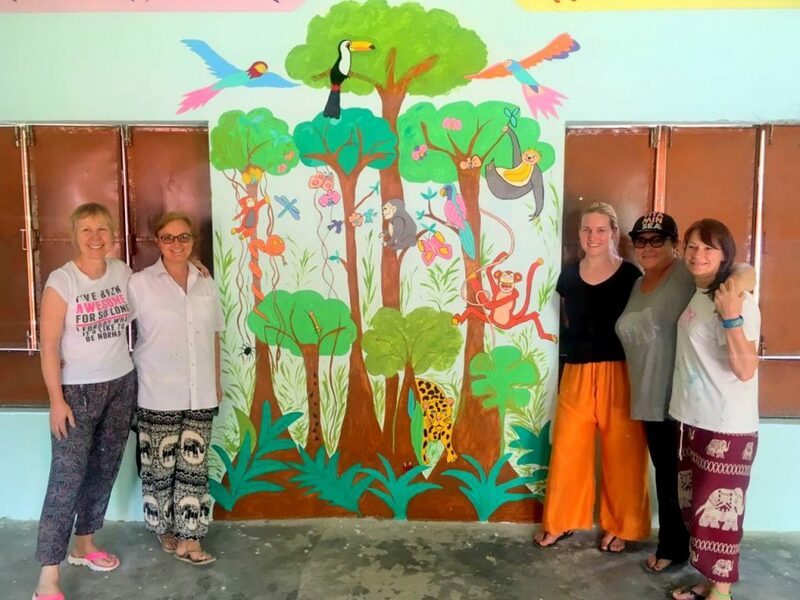 During the afternoons, volunteers will be spending some quality time at Childcare Centers as a part of their work, involving in some sort of renovation and repair work to make the centers more lively and colorful for the little ones. Get some paints and brushes, and start pouring out your creativity on the walls! You’ll also get the opportunity to visit the nearby Tea Factory as Palampur is famous for its Tea Plantations. Are you a shopaholic? Then there’s no way you can miss out the chance to shop especially in the local markets of Palampur like Tibetan Markets, Ram Market, Handloom shops and many more. It’ll be a perfect way to pick up souvenirs for your friends and family. Don’t forget to use your bargaining skills, to get the best price! Volunteering is not all about work! Though you’ll have tasks and yoga sessions on weekdays, you can spend your weekends by exploring the beautiful town of Palampur. Visit the temples, monasteries and you can also head towards Mcleodganj, Dharamshala Neugal Khad etc. Explore the Kangra Valley and soak in its pristine beauty. India is known for its unique culture, and during those 15 days, you’ll be getting a chance to observe everything closely. Experiencing a different culture may be a little shocking for you in the beginning but as you’ll spend more time here, you’ll come to know how warm and welcoming Indians are. Every day you will learn something new about the country – Whether it’s about Indian culture, religion, cuisine, festivals etc. 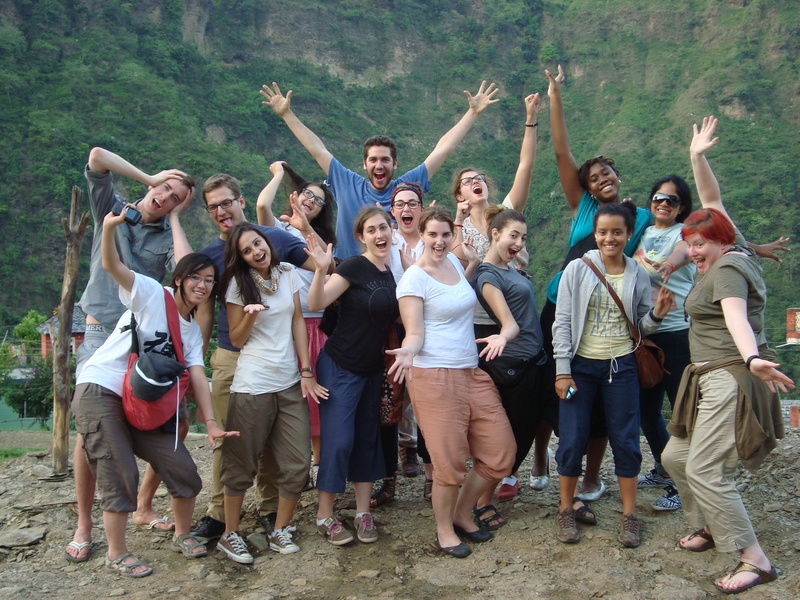 This journey of volunteer work will surely play a significant role in your career ahead. You can add this experience to the resume and it will show how capable and the efficient candidate you are. It will help you in future in getting better employment and will help you to enhance your personality (leadership qualities, extra-curricular activities, communication skills etc.) Once you complete the program with us, we’ll be providing you a Certificate of Completion. While you are volunteering, you are taking one step ahead in making someone’s life better. Volunteering at the childcare center will make you experience how these little ones live. Make difference in their lives by sharing the experience of your life and make them believe that they are not less than anyone. Add some colors, vibrancy, and dreams to the place and make it more lively and kids-friendly. 10. It’s perfect for those who have a time crunch! Last but not the least, if you were hesitant to join a program because you don’t have much time in hand, then worry no longer! This amazing program has been designed, keeping in mind the fact that not everyone has enough time to spend. Wrapped in an itinerary of 14 days, you’ll be able to experience the best of yoga, volunteering, adventure, and travel in just a span of 2 weeks!